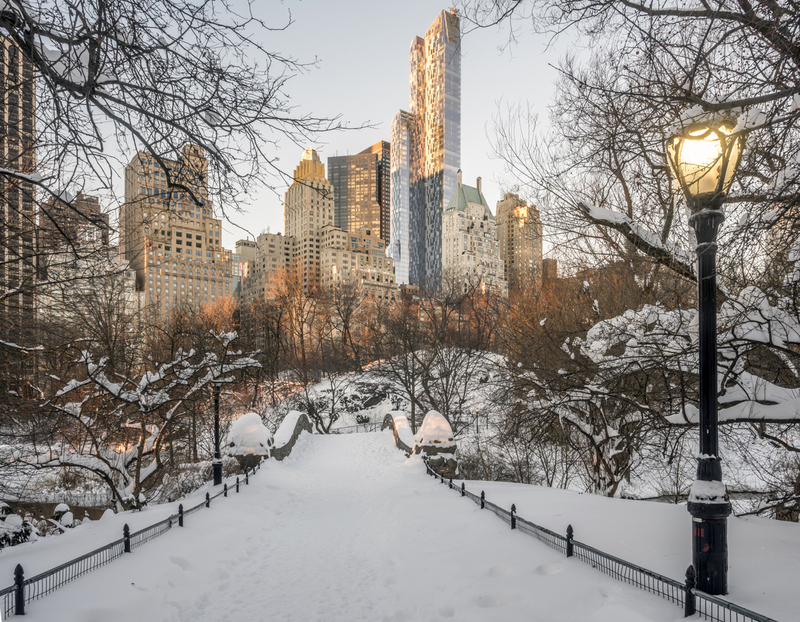 Wintertime in Central Park is perhaps one of New York’s most magical sites. Just image the skyline, lakes, walking paths, and historic architecture—all dusted in snow. Take full advantage of the park’s seasonal offerings by exploring this festive activity guide. Did you know the Central Park Zoo is open 365 days a year? Regardless of snow or chilly weather, the zoo still welcomes guests 10:00am–4:30PM daily. And not to worry—animals in the outdoor exhibits are those who thrive naturally in colder climates. We love spotting snow leopards, grizzly bears, snow monkeys, and the plumed whistling ducks pouncing and playing within their wintry confines. But the sea lions are the true stars of the show. The zoo’s multi-level viewing platforms allow visitors to watch them lounge on rocks with the skyline in full view, or plunge beneath the icy water from below. Show up at 11:30am, 1:30pm, or 3:30pm to watch them interact with trainers and also get a chance to feed one for yourself! And if you want some time to warm up, step inside the zoo’s 4D theater, which hosts seasonal movies using 3D film technology paired with visual and sensory effects to help you feel one with nature! Grab a hot chocolate or coffee and warm winter coat, and mosey around some of the park’s beautiful landmarks and pathways. They’re just as gorgeous to see in winter as warmer months (some may argue even more so when dusted with snow!). If you’re starting from uptown, begin with Gapstow Bridge and pond. This man-made site offers a gorgeous backdrop of midtown in the midst of nature. Then make your way to the Dairy, a Victorian-style cottage that used to serve up milk and ice cream in the 19th century. If you’re bringing the kids, be sure to hop aboard the carousel for some fanciful fun. The Sheep Meadow is more popular in the summer, but if you’re lucky enough to stop by when there’s snow, it’s the perfect place for building a snowman or kicking back to perfect a snow angel. Finish off your trek at the ever-so-picture-worthy Bethesda Terrace and Fountain and then follow the walking-and-running path around the lake and exit the west side of the park. Central Park is home to two rinks, Wollman, located on the park’s south-east corner, and Lasker, located slightly north. In the summer, Wollman Rink is actually the Victorian Gardens amusement park, but come colder weather, the rink is filled up and frozen over. They offer plenty of festive fun. You can take the traditional route and rent skates to glide across the ice, or participate in an ice hockey game, skating schools, or host a party. Lasker Rink is also one of the park’s convertible features, home to a popular swimming pool in the summer. In addition to skating, this rink offers adult and youth hockey, skating lessons for all ages, rentals, and lockers.